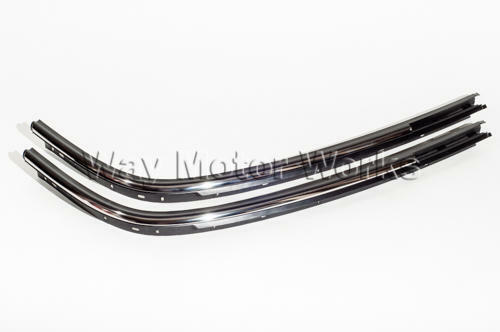 R52 MINI Cooper Convertible Top Chrome Trim 2005-2008 Cabrio both Cooper and Cooper S. If you have a cabrio MINI you know that the rubber falls off these chrome trim pieces. These parts are not hard to replace, but will take a few minutes to get off. So if your trim is looking bad and falling apart replace it today. sold as driver, passenger, or set.